This weekend Mick McCarthy starts his second spell as Republic of Ireland manager. 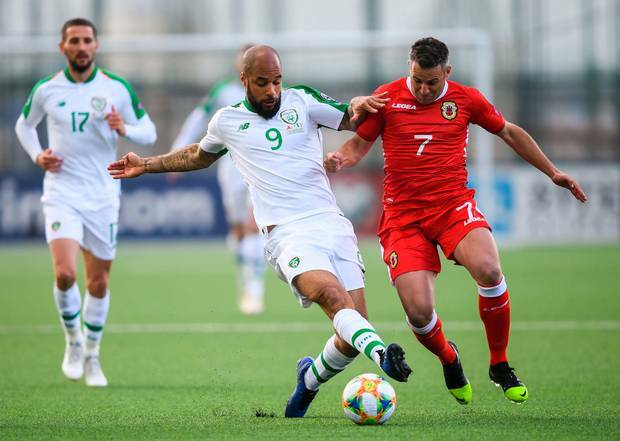 It is also the start of qualifying for the 2020 European Championships and the first game up for the Irish is away to Gibraltar, a game from which they are expected to pick up all three points. It will be Mick,s first chance to set out his plans to take Ireland forward over the qualifying period. He needs to start off with a win to get all the Irish fans on board for a campaign that could take them all the way to the finals. Everybody within the Irish game is willing Mick to come with the goods and let us all hope he can bring his magic to a squad that had become very stale and disillusioned under the former regime of Martin O’ Neill and Roy Keane. It is an old road that the powers to be at the FAI have decided to go down, but with McCarthy at the helm there is every chance of qualification. Once the Gibraltar game is out of the way the next in line for the Irish is a home fixture against a well organised Georgia. That game could be a tricky one for the boys in green but it is Mick McCarthy,s home coming and if the fans can get behind the team it could lead to a great start to the campaign for the Irish. The tougher games against Switzerland and Denmark will follow, but if the Irish can get a bit of momentum going who knows what will happen as we go along in this campaign. Connor and Robbie Keane have been seen out and about at a lot of games and this has even included games in the SSE Airtricty League. They have been looking to unearth some little gem that might have been missed by the previous regime. But when Mick named his final twenty three man squad for the two upcoming games, he named pretty much the same players as Martin O’ Neill had done in previous internationals. There are a few new additions to the squad but nothing that is going to get the juices flowing. Therefore it is most important that the style of play that is produced on the field is vital. Ireland need to have a plan A and a plan B if things are to be successful, for to long under O’ Neill if plan A did not work plan B was to hoof the ball long and hope for bits and pieces around the penalty area and that style was like food and drink to most international teams. If this Irish team can get six points from their two opening games it will give the players and the fans the belief that maybe qualification is possible. If they start off badly then McCarthy,s reign could be over before it has even begun. Mick will need one of his strikers to step up to the plate over the coming games and set down a marker for the campaign ahead, unfortunately Shane Long has been ruled out before a ball has even been kicked and that is a blow to the Irish. This will give other players a chance to step up and if the Irish manager goes with Sean Maguire we could have a story on our hands. Come next Tuesday night at nine forty five we will know how the results have gone and have the Irish returned to winning ways, I for one hope we have all six points in the bag as I am a big fan of Mick McCarthy,s and he certainly has some unfinished business to sort out before he finally packs it in.